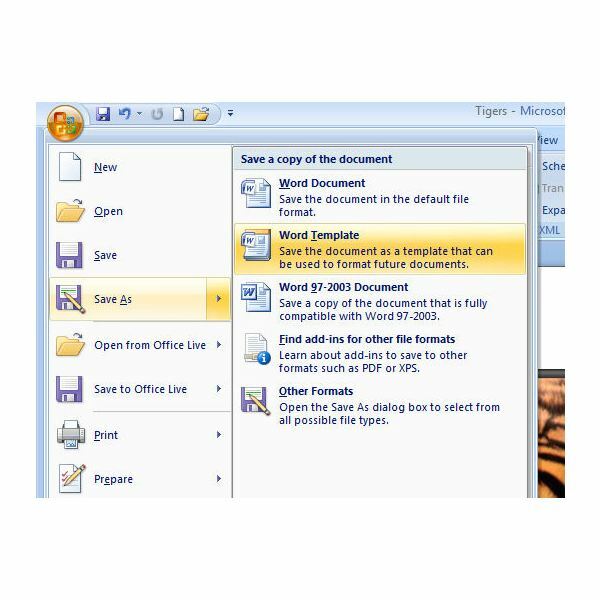 When creating a macro, you have the option to store it in the global template or in the Word 2007 document in which you are currently working. 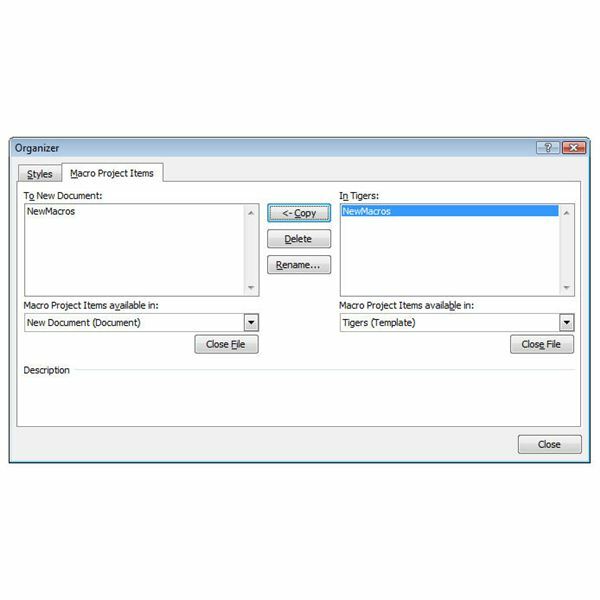 If you store it in the global template, it will be usable by any document you open in Word. 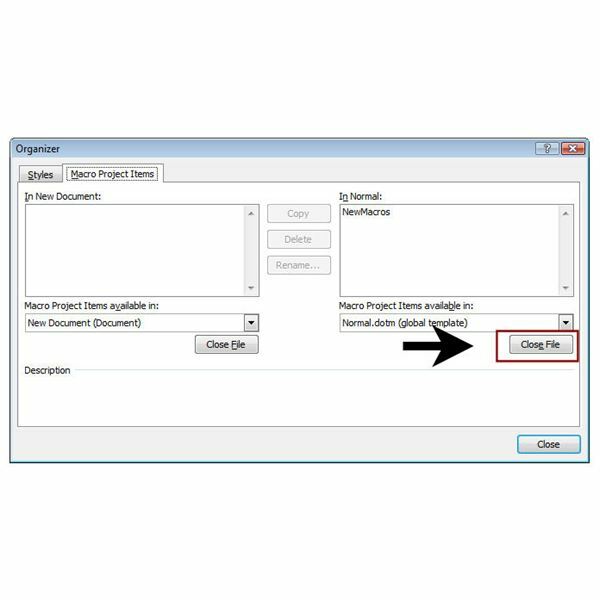 However, if you store a macro in a single document only, you can still transfer that macro to other documents at a later date if needed. With the document stored in this format, you’ll be able to transfer the embedded macros to other Word files. Step 1: Open or create the document to which you want to add the pre-existing macros. Step 2: Open the Developer tab on the Word ribbon, and click on Macros. If you don’t see the Developer tab, refer to Part 1 of this series to find out how to make it visible. Step 3: Click the Organizer button in the Macros window. 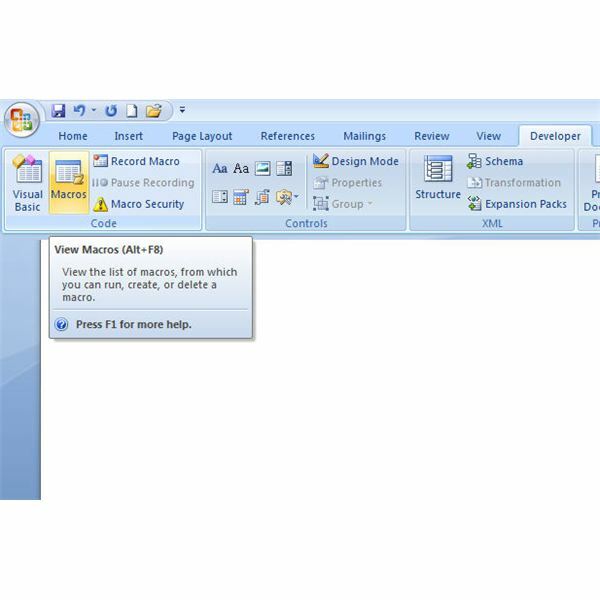 Step 4: Make sure that you are on the Macro Project Items tab in the Organizer window. 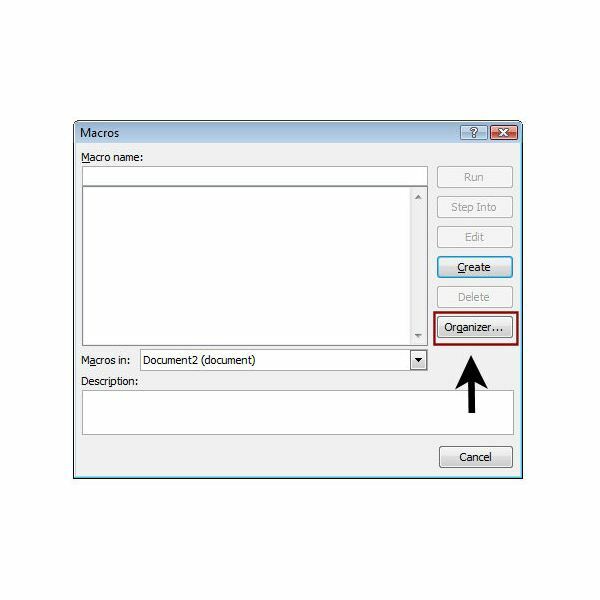 On the left-hand side of this window, choose the document that you want to copy the macros into from the Macro Project Items available in drop down box if it is not already selected. On the right-hand side of the window, click the Close File button. See the screenshot below for an example of this. Step 5: The Close File button that was clicked in the previous step should now show as an Open File button. 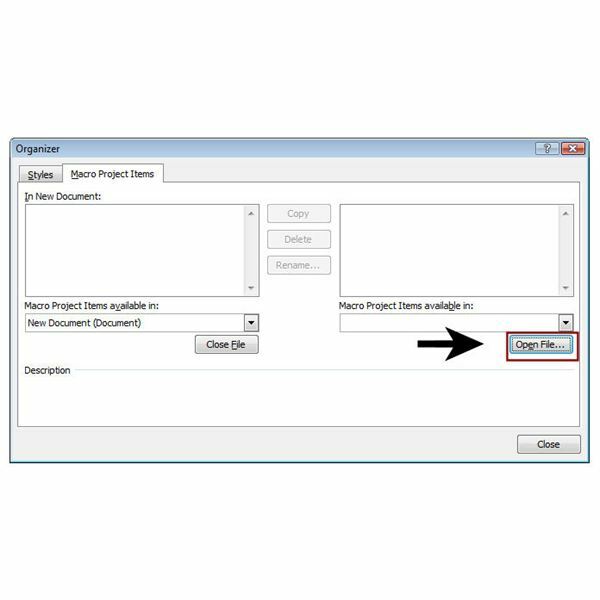 Click the Open File button and locate the document template that contains the macros you wish to transfer to the new document. Step 6: Select each macro that you wish to transfer and click the Copy button. Now, the transferred macros will be present and accessible in the new document. If you want to email or share this macro with another user, make sure you save this new document as a Word template first and then distribute the template file. One way to improve efficiency and increase productivity in Microsoft Word 2007 is to utilize custom macros. This set of articles will give several tips and tricks for creating and using these powerful tools.